When your home’s sewer line is working properly, you probably pay very little attention to what goes on inside. But when you encounter problems, can you identify the parts quickly? How do you know which component needs fixing? Although calling a technician is easy enough, it is still vital for a homeowner to learn the basics of a home drain system. This knowledge will help you with preventive maintenance, as well as be able to fix simple issues without having to call a technician. A home’s drain system is often referred to as drain pipes or sewer pipes. It is, however, more complicated than that. The system is not only used to drain wastewater and solid waste into the public septic field or sewage treatment facility, but the pipes also serve as a vent which allows fresh air to enter the system. Fixture drain. It is the visible section of what you see when you look at a tub or sink drain. The drain often has a built-in stopper or plug. This is where the wastewater’s journey begins its descent into the pipes and ultimately, the sewage system. P-trap. Immediately underneath the sink or tub is a segment of curved pipe called the P-trap. This part of the drain holds standing water which in turn seals the system and prevents gases and unpleasant odour from entering your home. Toiler trap. It may not be visible, but every toilet has a trap which has a similar function to a P-trap. Branch drain line. A branch drain line is horizontally installed and connects individual drain traps to a soil stack, which will lead to the main drain line. These lines are not always visible because these are often hidden behind wall, floor, and ceiling finishes. Soil stack. At the end of a branch drain’s horizontal run is the soil stack which are large pipes that carry wastewater and solid waste into the main drain which will eventually empty into the municipal sewer system. Soil stack vents. The upper section of a vertical soil stack consists of the component that acts as a vent for the system. If you observe the direction of a soil stack vent in your home, you will notice that it goes through the roof and opens outside. Apart from carrying noxious fumes out, these vents also act as pressure release mechanisms so that wastewater and solid waste moves down easily. Main drain line. Every home has one main line that carries all waste into the municipal sewer system. The main drain pipe is typically made of PVC, cast iron, or clay. You will rarely see the drain line because it runs underneath the house’s foundation or basement. Municipal sewer mainline. Your home’s sewer system ends at the municipal sewer main. Understanding how the system works will help you identify issues that you can either fix or have a professional technician check and repair. Plumbing and sewer issues come in all shapes and sizes. Some are as simple as a dripping faucet, while significant problems like pipe leaks and sewage back-up can damage walls and floors. Here is a list of some of the most common sewer and plumbing issues and what causes them. Sink and tub drain slow. The main culprit for this problem is a clog that restricts water flow. Kitchen sink drains will get clogged with congealed fat and food particles. In the bathroom and tub drains, on the other hand, the common cause of clogs are hair and soap residue. Common remedies for this problem include using a plunger or a solution of vinegar and baking soda. If you want to unclog the drain, make sure that you avoid using harsh cleaning chemicals which may worsen the issue. Clogged toilet. Toilet blockage is typically caused by a mixture of waste and other particles like toilet paper. You can quickly fix a clogged toilet by using a plunger, an auger, or a snake drain. Running toilet water. If you leave a running toilet unattended, you may be wasting up to 200 gallons every day. A faulty flapper valve is the typical cause of this issue. You can fix it with a repair kit available at any hardware store. Low water pressure. There are several common causes of low water pressure coming from taps. If the house is old, it is possible that pipes are leaking and have already corroded. If this is not the case, another common cause of low water pressure is mineral deposit in shower heads and aerators. To remedy this problem, soak showerheads and aerators in a mixture of vinegar to remove mineral deposits. Garbage disposal is jammed. Garbage disposals are very useful, but this appliance gets stuck from time to time. You can try to reset the disposal, but if this does not fix the problem, you may need to open it. If you do not know how to do this, contact a plumber right away. Leaky pipes. If you have leaky pipes, it is a severe problem that needs to be fixed right away. If you ignore leaky pipes, the water may eventually damage walls and floors. This problem is quite common during winter when water freezes inside the pipes and cause them to burst. Sewer back-up. Sewer back-ups can cause a significant inconvenience and also quite expensive to repair. If you start noticing a bad odor coming from drains, sinks, and toilets inside your home it is possibly the start of a sewer back-up. If the problem is within your property, you will need to hire a plumber to find the cause of the blockage and fix it. Unfortunately, if the problem is outside your home’s mainline, the sewer company should be responsible for fixing it. In most of these common sewer and plumbing issues, the homeowner can find an easy and simple remedy. But anytime the problem persists, contact a plumbing company and schedule a repair to prevent causing further damage to your home’s sewer system by performing DIY repairs. Most problems with plumbing and home sewer systems are caused by human negligence and error. As a homeowner, you need to properly care for your home’s sewer system to prolong its life and prevent costly repairs. Avoid using harsh chemicals to clean the drain. Cleaning chemicals are readily available and easy to use, but most of these will erode drainpipes and do more harm to your home’s sewer system. Instead of these chemicals, use a drain snake or a plunger to remove clogs from the drain. Prevent clogging. Be careful with what goes down the drain. Avoid flushing diapers or feminine hygiene products, and eliminate food waste that can plug the kitchen sink. Clean drains regularly to avoid build-up of dirt, hair, and other particles. Reduce water pressure. If the water pressure is too high, it will stress pipes and cause leaks. Keep water pressure at the minimum, or you can install a water pressure gauge. Use water softener. A water softener can prevent mineral deposits and calcium build-up that restrict water flow inside pipes. Regularly clean main sewer lines. 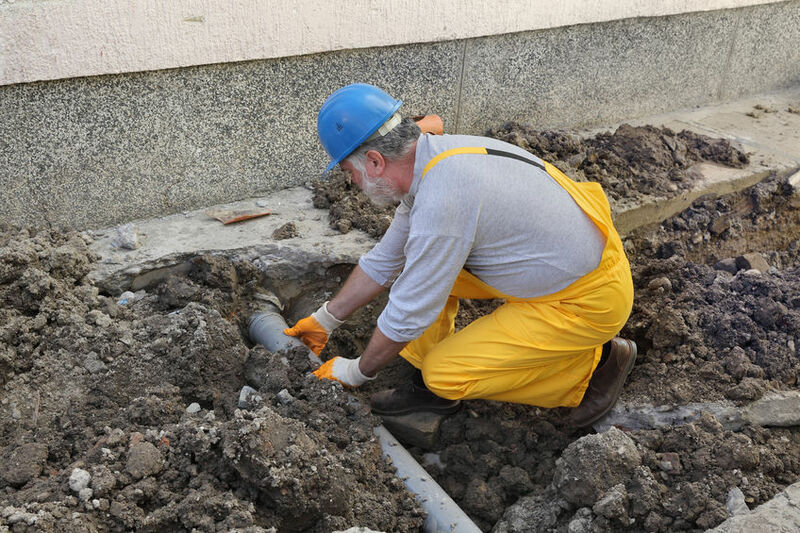 Have the main sewer line cleaned and de-clogged once every few years by hiring a plumber. If you have a septic system at home, have it pumped every three to five years. Be familiar with your homes sewer system. You need to know where shut-off valves are located so that you can turn it off in case of leaks. If you are familiar with the pipeline in your home, you can point out problem areas quickly to the plumber in case there is a problem. Prevent pipes from freezing. To prevent pipes from freezing in winter, allow water to drip slowly from faucets. A small amount of running water is enough to prevent pipes from freezing during freezing weather. Consider adding pipe insulation. Another preventive measure is insulating pipes to prevent freezing and to hasten the flow of hot water from the heater. Do not hang anything on exposed pipes. Exposed pipes in basements should not be used to hand any object. This could loosen the joints and cause the pipes to break. Do not ignore issues, no matter how small. Even minor leaks should be fixed right away to prevent the problem from getting worse or causing further damage to the system. Caring and maintaining your home’s sewer system is easy, but requires a lot of vigilance. For major concerns or problems that persist, hire a professional plumbing company to rectify the problem right away. Do not take the risk by fixing serious problems yourself because you may end up causing more inconvenience, and rack up the cost of professional repairs.